The classic view of Mülheim’s old railway bridge from the Schloßbrücke. 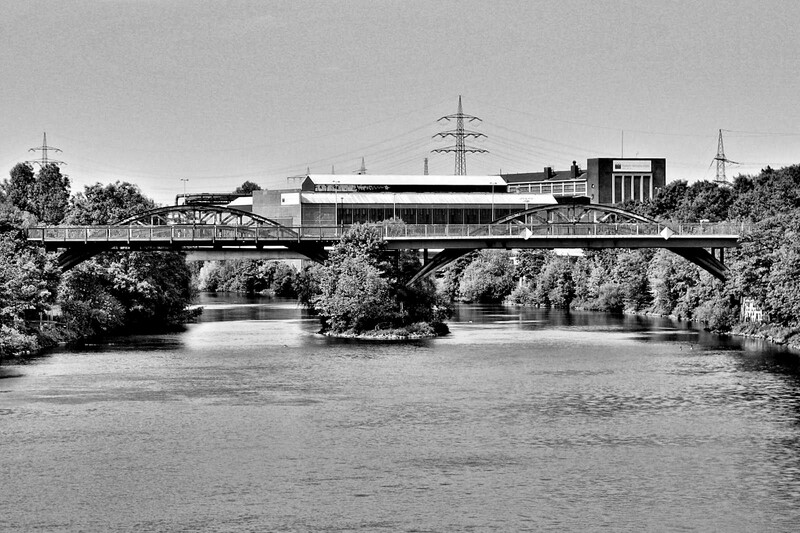 I have a lot of photos from this perspective – this one is a black-and-white conversion of a HDR from May 2009. The industrial buildings in the background look bigger here than they really are, the distance between the bridges is about 300 meters and the zoom lens does strange things with the perspective. This photo belongs to a gallery I had uploaded some years ago and which I will upload again soon in a completely reprocessed colour version.